Large timing spiral gear for camshaft, Bronze which runs quieter than the aluminum gear, excellent for all engines, a must for engines with overhead valves. 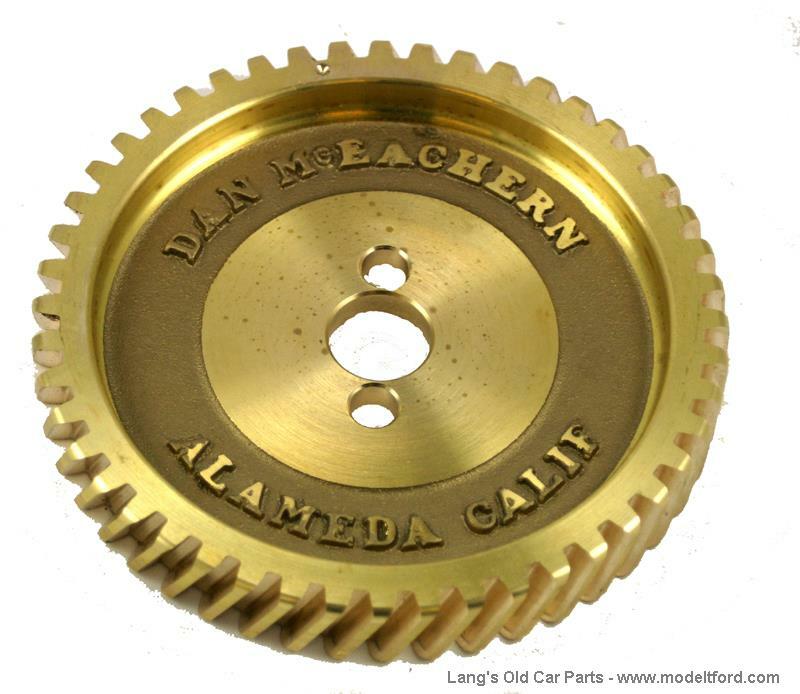 Were original model T camshaft timing gears made of metal, or were they composition material like those for Model As? The originals where cast steel. 26 out of 39 found this answer useful.